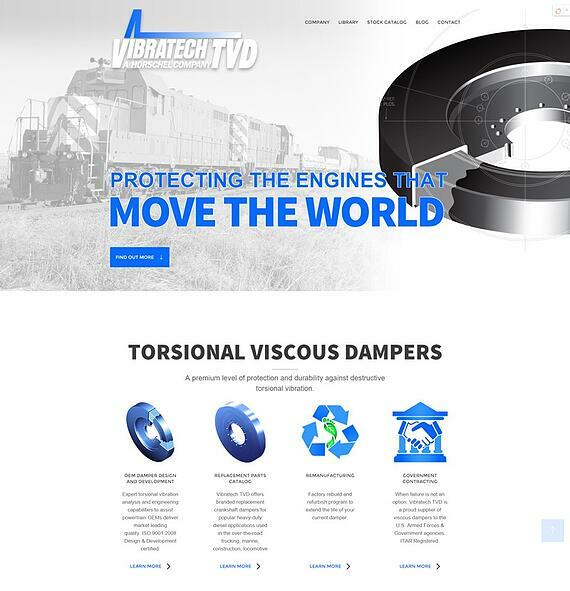 Vibratech TVD is the largest U.S. manufacturer of viscous dampers. They provide OEM damper design and development for crankshafts, driveshafts, camshafts, and hybrid drivelines. They serve a variety of industries from heavy machinery to powersports and more. They wanted a website that was easy to manage and accurately reflect their business from a design perspective. The website is integrated with the HubSpot platform.